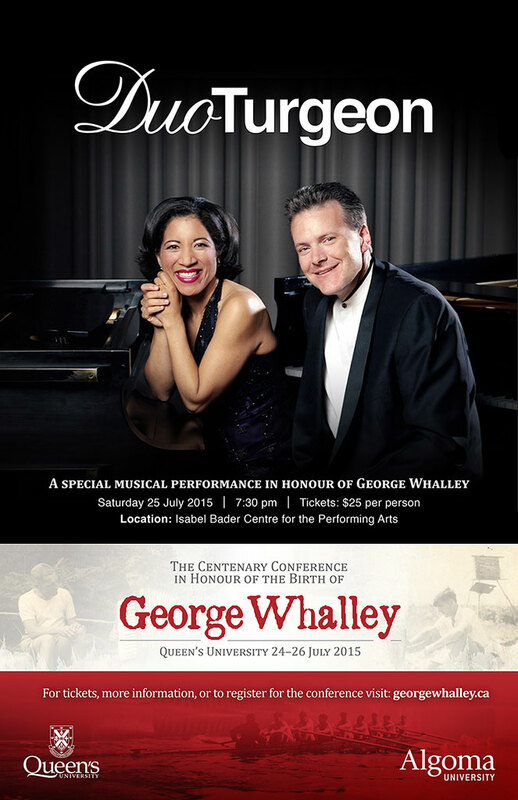 As a tribute to George Whalley’s passion for music, Duo Turgeon, the elite piano duo, will perform a concert in the Isabel Bader Centre of Performing Arts on the evening of July 25th at 7:30 pm. Drs. Anne Louise-Turgeon and Edward Turgeon, two members of Algoma U’s Music faculty, have established themselves as one of North America’s prominent piano duos. This event is open to everyone and does not require registration for the conference. 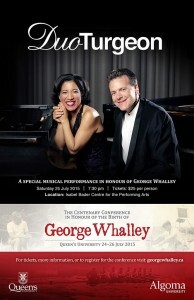 Tickets are available to the general public for $25.00. Purchase tickets here. Duo Turgeon will perform in the Isabel Bader Centre on July 25th at 7:30 pm. Tickets are available to the general public for $25.